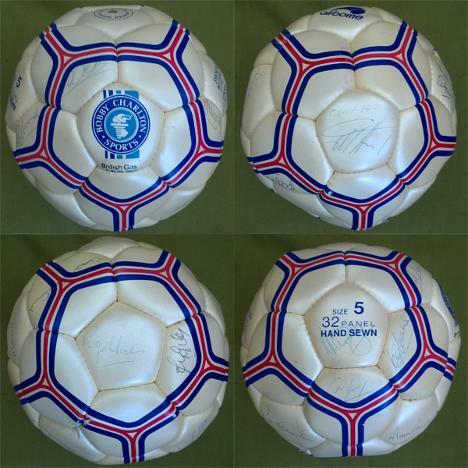 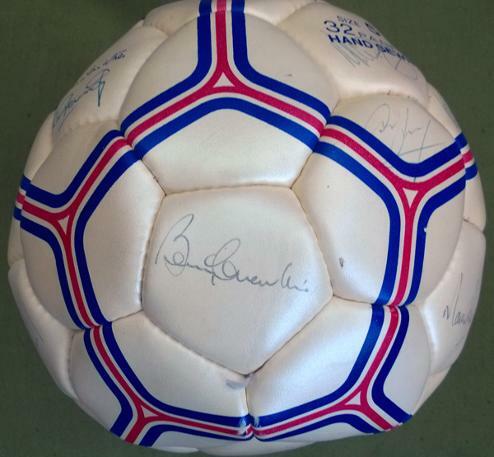 Rare / Multi-Signed 'Bobby Charlton Sports' football inc fellow 1966 World Cup winners Geoff Hurst, Alan Ball, Martin Peters & Roger Hunt + Trevor Brooking, Ray Clemence, Alan Mullery, David Hirst, Johnny Giles & Pat Jennings + other unknown autographs. 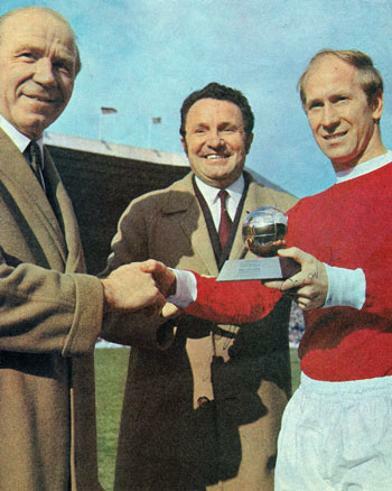 Signed book page receiving the 1966 Ballon D'Or (European Player of the Year) from Sir Matt Busby at Old Trafford. 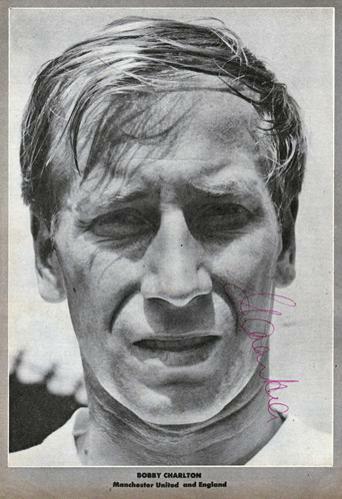 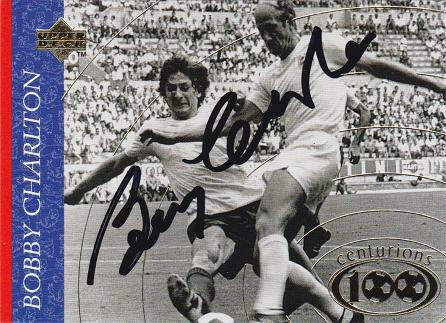 Bobby Charlton's autograph highlighted above. 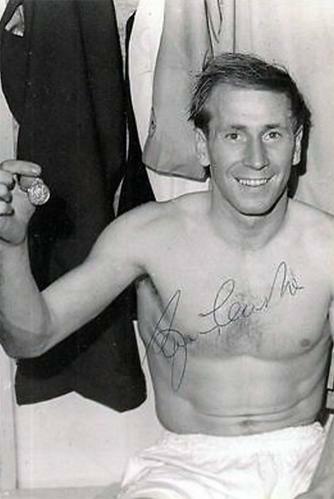 Signed (in red ink) 1960s Manchester United team pic. 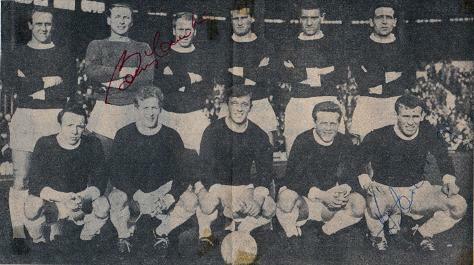 Also signed by Pat Crerand (front right). 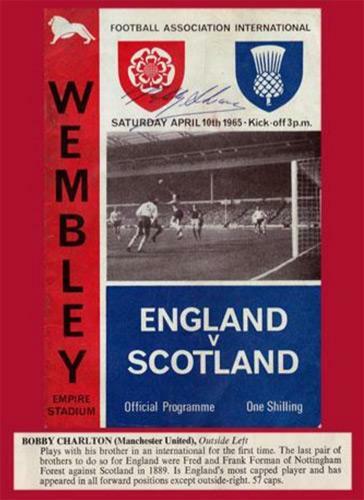 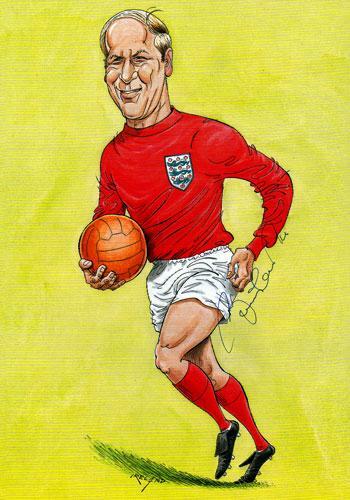 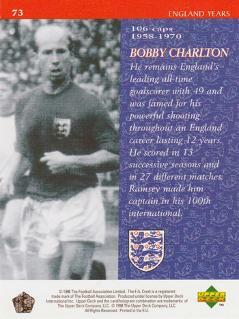 Welcome to the Uniquely Sporting Sports Memorabilia page for Sir Bobby Charlton football memorabilia and Robert Charlton memorabilia, and other soccer related football collectables and signed souvenirs for the England 1966 World Cup hero & Old Trafford legend, and soccer related Red Devils memorabilia.